LOCATION, LOCATION, LOCATION; Geomancy, looking at the landscape, the position of your home within it. The shape of the plot and footprint of your building and how this impacts on your energy and that of your home. 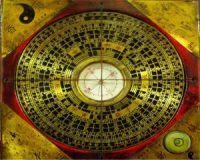 FENG SHUI CURES AND ENHANCEMENTS to improve the chi flow within your home. GEOPATHIC STRESS; what is it? how does it impact our energy? and ways to mitigate for it in our modern environment. PLANTS; “how to grow fresh air” natures gift of balance for our homes. What type of plants to use in which areas to best improve the air quality and to reduce positive ions in the atmosphere.